4. In the Subdomain name text box, type the subdomain name you want to use. 5. In the Parent domain list box, select the parent domain. 6. 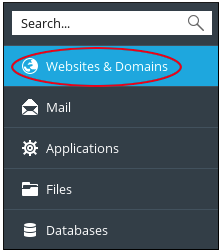 Under Hosting Settings, Plesk automatically completes the Document root option. Confirm that it is set to the value you want.